Description: Britain has been invaded, and Rome has declared marshall law. In a small village, the only free britains try to hold off the legions. The warrior Jolitorax is sent to his cousin in Gaul for help. 50 B.C. All of Gaul has been overtaken by the Roman military machine. All? No a small village - oh whatever you know this part. It's Asterix. If you for whatever reason don't know who Asterix is by this point, you must've lived under a rock for most of your life. 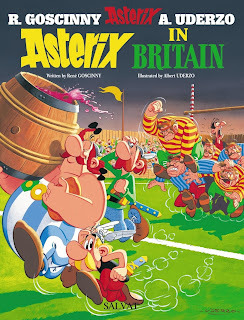 Having been represented in video games, childrens books, cartoons and of course comic books Asterix has become one of the most iconic characters when it comes to the European comic book industry. Released in 1986, this is the 4th time Asterix has been brought to the silver screen and the 3rd adaptation of an original Asterix comic book adventure. Actually, I like to call this movie the second in the "Asterix globetrotting adventures". 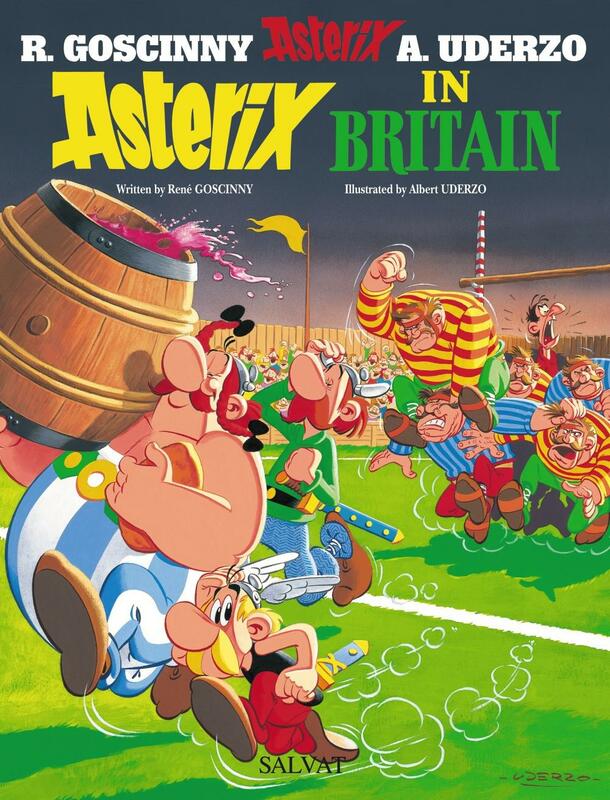 The first one being Asterix and Cleopatra (1968) with the third and fourth ones being Asterix in America (1994) and Asterix and the Vikings (2006). I might be the only one that feels this way though. With the exception of the latter two, none of them were released back to back. My weird habits aside, this is one of the better Asterix movies. It's arguably the one that's aged the best, most of the Asterix movies being very grounded in the period it was made. This has resulted in some strange occurrences (such as Justforkix owning a cellphone pidgeon in Asterix and The Vikings from 2006). This movie also does a lot better animation-wise. Grounded, the former movies (especially Asterix and Cleopatra) had very good, imaginative pictures. However, this movie has better colouring, better backgrounds and the characters stay much more on model than in former installments. This looks like a big budget movie. Though I have to say the shading is very sparse, the artists instead choosing to make the colors flat a lot of the time. This leads to some of the scenes feeling very flat, it feels like you're watching a movie and that is a problem. It's a bit weirding seeing as Asterix Versus Caesar from the prior year had fantastic shading. This is a fun movie, it doesn't allow you to put much thought into what's going on and instead just throws 90 minutes worth of laughs at you. The cheese factor is high in this one, so if you're picky about history you might want to turn off your brain for a bit. It allows for a lot of silly explanations for real world things, such as why tea is so big in England. This story is a jestful mocking of neighbours from the French, not feeling mean spirited in any way.